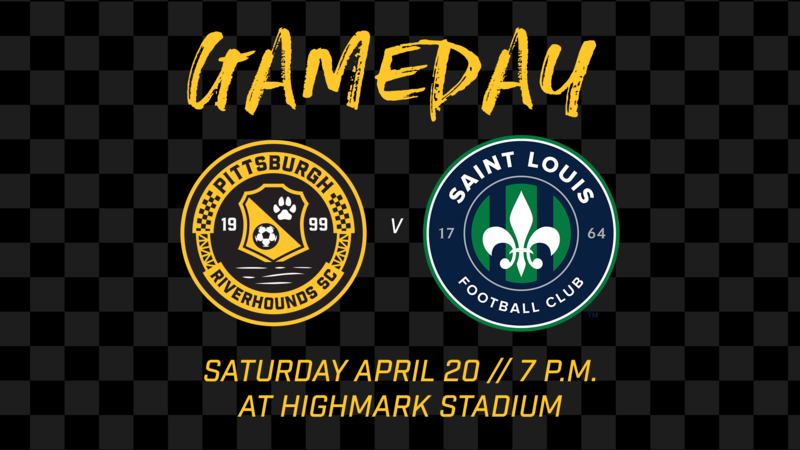 Pittsburgh Riverhounds SC battles Saint Louis FC at 7 p.m. Saturday, April 20 at Highmark Stadium for the first time since 2017. Join us for $1 beers from 5:30 p.m. until kickoff at 7 p.m.
Take advantage of our 2-for-20 deal. Buy two tickets for the price of $20 in our Mid View or Supporters sections. Use the code “twenty” upon purchase of your tickets. A post-match autograph session for all fans presented by Kidsburgh. Highmark Stadium implements a clear bag policy for all events. For group ticket information, please contact one of our group sales representatives by calling 412-224-4900.